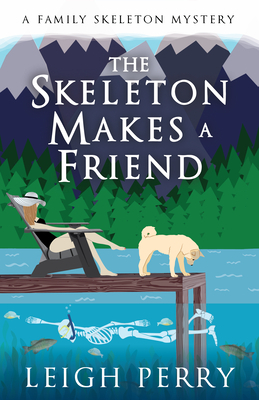 Georgia Thackery is feeling pretty good about her summer job teaching at prestigious Overfeld College, and she's renting a rustic cabin right by a lake for herself, her daughter, Madison, and her best friend, Sid the Skeleton. Together again, the trio are enjoying the quiet when a teenager named Jen shows up looking for her friend. Georgia doesn't recognize the name, but she learns that the person Jen was looking for is actually Sid. Sid reveals that he and Jen are part of a regular online gaming group that formed locally, and one of their members has gone missing. Sid admits that he might have bragged about his investigative prowess, enough so that Jen wants him to find their missing player. Given that Sid doesn't have many friends offline--none, really, unless you count the Thackery family--Georgia agrees to help him search. They manage to discreetly enlist Jen, who lives in town, and follow the clues to... a dead buddy.